Alberto Manconi is Assistant Professor of Finance at Bocconi University. After graduating from his PhD at Insead in 2010, Alberto worked for six years in the Finance Department at Tilburg University (Netherlands). He joined Bocconi in September 2016. Alberto's research interests revolve around institutional investors (especially mutual funds), their performance, their impact on the firms whose stocks they hold, their internal organization, and their effect on market efficiency and stability. 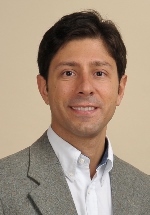 Alberto's research has been presented at all major international conferences in the field of financial economics (AFA, WFA, EFA, FIRS), and it has been published in leading journals such as the Journal of Financial Economics, the Review of Financial Studies, the Journal of Financial and Quantitative Analysis, and the Review of Finance.